Matt graduated from Bristol University Medical School in 1998. Before commencing his radiology career Matt trained as a surgeon, gaining membership of the Royal College of Surgeons (UK) in 2001. 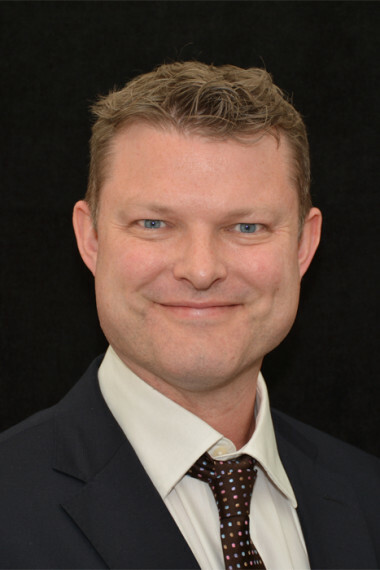 He then undertook radiology registrar training in the Southwest of England (2003-2008), before a year-long fellowship at Royal Perth Hospital, under the supervision of musculoskeletal imaging expert Dr Bill Breidahl. Matt returned to the Southwest of England in 2009 as a Consultant Radiologist working at The Royal United Hospital Bath. He also provided specialist Musculoskeletal radiology services at The Royal National Hospital for Rheumatological Diseases (the largest tertiary referral hospital for rheumatological conditions in the UK) as well as at the BMI Bath Clinic and Circle Bath Hospital. He worked closely with Bath Rugby club (including multiple England international players) and the English Institute of Sport (including multiple members of the GB Olympic team) investigating and treating sports injuries in elite athletes. Matt immigrated to Australia in October 2011. He worked in a private radiology practice in Perth before joining Perth Radiological Clinic in October 2015. Matt enjoys teaching and has been an invited lecturer at numerous local and regional courses and conferences. He co-organized and lectured at the British Society of Rheumatology Advanced Ultrasound Course in 2010 and has been a reviewer for the British Journal of Radiology (BJR) since 2007. Patella height measurement in trochlear dysplasia. AJ Barnett, M Prentice, V Mandalia, CJ Wakeley, JD Eldridge. Knee surgery, Sports Traumatology, Arthroscopy: Volume 17, Issue 12(2009) page 1412. Femoroacetabular impingement in Psoriatic Arthritis S Shetty, M Prentice, G Robinson, D Glew. Proceedings of the UK Radiological Congress, 7-9 June 2010;36. BJR Congress. Are the Royal College of radiologists (RCR) guidelines for Registrar appraisal and assessment being followed? MG Prentice, SP Colley, AC Planner, RM Guiness, EJ Goldstraw. Proceedings of UK Radiological Congress 2006; 85. BJR Congress. European Radiology supplements ECR 2007 / Book of abstracts February 2007.